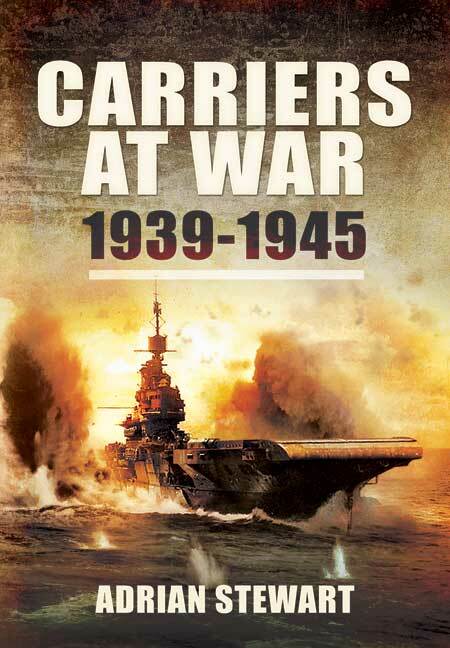 You'll be £4.99 closer to your next £10.00 credit when you purchase Carriers at War 1939-1945. What's this? Other formats available - Buy the Hardback and get the eBook for free! The Author begins this fascinating book by tracing aircraft carrier development between the Wars and describing their revolutionary but uneven introduction into the leading navies of the world. Eschewed by the Germans and Italians and, with Britain squandering her early lead, the Americans and Japanese quickly became front runners. The Royal Navy learnt the hard way in the early stages of the Second World War with the losses of HMS Courageous and Glorious. However successes at Taranto and Matapan confirmed the strategic and tactical value of carriers. The role of carrier-borne aircraft in the demise of Bismarck effectively signalled the end of the Battleship era. Stung by such catastrophic losses from Japanese aircraft at Pearl Harbour, the Americans threw their full industrial might behind the carrier building programme and the ensuing naval war in the Pacific (Guadalcanal, East Solomon Islands, Santa Cruz, Midway and Leyte Gulf) revolved round carrier-borne aircraft. Meanwhile the carrier became pivotal in protecting vital convoys in the Atlantic, Arctic and Mediterranean. In this hugely informative and interesting analysis of sea power in war, the author, a respected military, naval and aviation historian, backs his arguments and enlivens the narrative with copious and stirring accounts of historic naval and air actions. As seen in the 14th Carrier Air Group Reunion Association Newsletter. The author is to be commended on writing a readable book on so wide-ranging a topic, from the waters of north-western Europe, into the Atlantic, the Mediterranean, the Pacific and the Indian Ocean. An enjoyable book that gives a strong sense of the global perspective of naval warfare in the Second World War. Stewart reviews this whole titanic contest, charting the twists and turns of this new – and fantastically complex – form of warfare. The photos give an insight into the nature of the fighting while the maps are adequate. A fine introduction to a big subject. In this hugely informative and interesting analysis of sea power in war, Stewart, a respected military, naval and aviation historian, backs up his arguments and enlivens the narrative with copious and stirring accounts of historic naval and air actions. A potted history of carrier warfare from the development of naval aviation between the two world wars of the last century to the Japanese Surrender. Based on secondary sources, but well-written in sparkling style, ‘Carriers at War’ is an excellent addition to the bibliography- and very useful primer on the subject of naval aviation. © Pen and Sword Books Limited 2019. Registered in England No. 2527258. Registered Office: 47 Church Street, Barnsley, S70 2AS. Item has been added to your basket!